This blog contains many of the unknown and less known recipes from Rajasthani Cuisine and few other recipes that I have learnt and experimented from around the world !!! 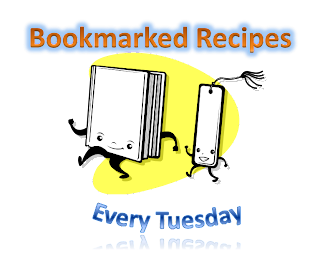 This is the 39th volume of Bookmarked Recipes - Every Tuesday Event. You can find recipes for all other volumes here. where we all with link the blog posts where we posted a recipe that we had Bookmarked from another blog or book or magazine or simply from a TV show written on a blank paper. It would be great to know when you bookmarked it (date), if you would like to share it, not mandatory. Important Note: The recipe has to be from another source (blog, magazine, friend, noted from somewhere in your diary etc.) and importantly as this is a vegetarian blog, it has to be a vegetarian recipe, no kind of meat allowed. Eggs are allowed, but only in baking. Please use the logo displayed below in your post and link it with this post or the original announcement post of this event. Once you have posted your recipe on your blog, simply link it using "Mr. Linky" below. Linking will open only after 12 am on 2nd May 2011 (India Time) and will stay open till end of the day (US Pacific Time). Hoping to see lots of recipes as I know all of us have bookmarked recipe, blogger or non-blogger. If you are a non-blogger, please feel free to send me the recipe with pic and the source of your bookmark. That's all for now. Take care till next post. Theme images by kamisoka. Powered by Blogger.